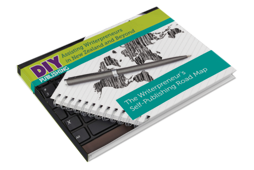 DIY Publishing’s mission is to educate and inform both writers, authors and anyone else who wants to share their story with their readers and take advantage of the opportunities that the boom in self-publishing offers. We understand the entire self-publishing process: from manuscript to market. We can hand hold you as much or as little as you need. We turn your book into an eBook for sale on Amazon (MOBI format) or other online retailers (ePub). We can create an author website for you (with or without a blog). A website is a critical component of online marketing. We can also advise on social media. Yes books are really judged on their cover! We can use your art work or image or source them for you. Print book covers include the ISBN barcode. We setup accounts with online retailers in your name. You control the account and royalties are paid directly to you. We will ensure accounts are setup to minimize your US tax obligations. We can design and print marketing materials including business cards, book marks, flyers, sell sheets and postcards. Print layout includes copyright (imprint) pages, numbering, captions, images, typography, widow/orphan control and much more. We offer suggestions on how to identify your book’s audience and how to connect with your readers. Online and offline approaches to marketing are identified. Things change, stuff happens. We are a local, New Zealand based company which is here for the long haul. We’ll be here if you need help now and in the future.